Stimulate the conviviality, with wooded and fruity aromas. It is the composition of essential oil that is going to create an antistress and friendly atmosphere. 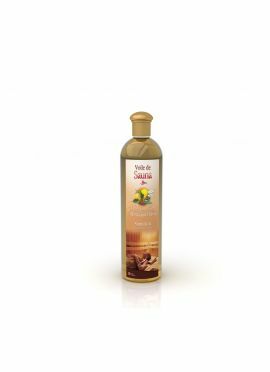 It is a perfect marriage between the woody, soft and captivating fragrances of the cedar of Virginia and the lemony, lively and exotic aromas of the litsea, called also exotic verbena. 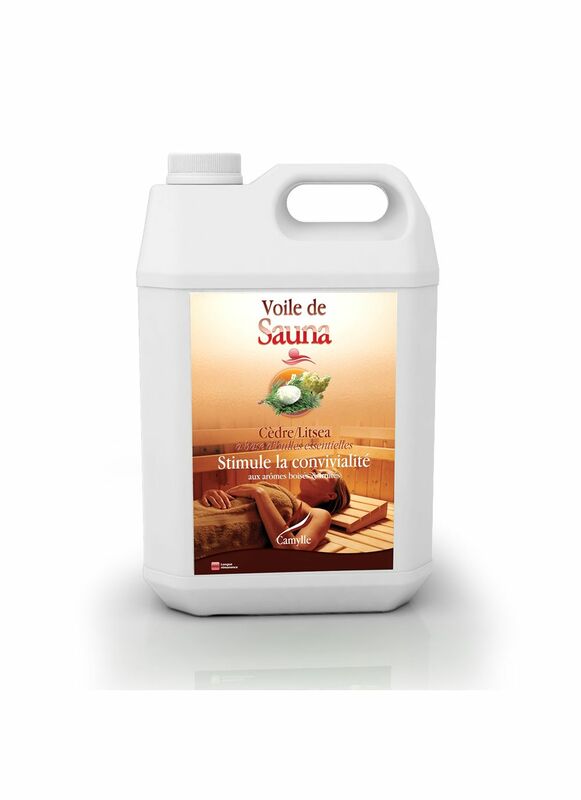 CAMYLLE’s VOILE DE SAUNA is totally soluble in water, and diffuses in generous quantities when the diluted solution is poured onto the hot stones of the stove (10 to 20 ml diluted in a litre of water). 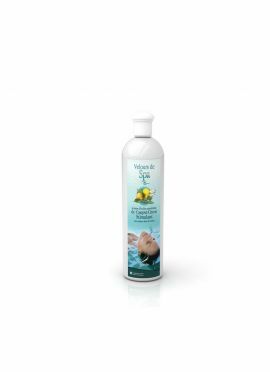 Essential oils are fatty particles that remain on the surface when they are poured into the water. 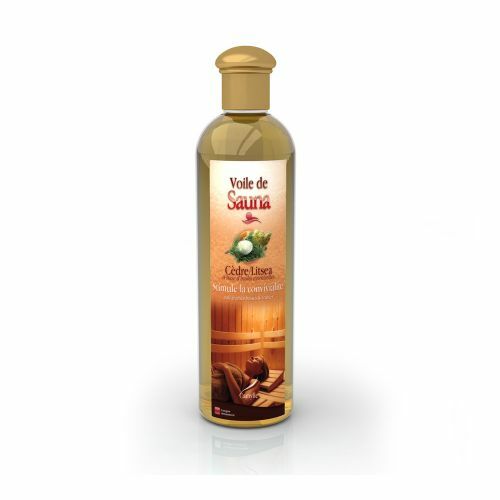 As a result, most products used in saunas give off scents that are created by the calcinations of the essential oils when they come into contact with the burning hot lava stones. 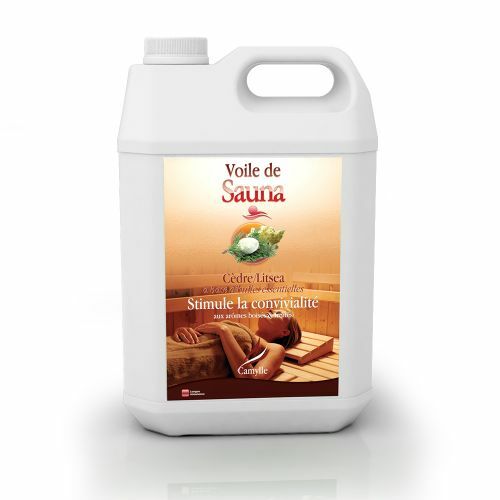 VOILE DE SAUNA’s secret manufacturing method prevents this phenomenon and improves the diffusion and persistence of the aromatic plant molecules. All is quiet except for the breathing of the hot wood and the clinking of the stove and the lava stones-a magical moment of peace and well-being. You have no other thoughts, just a feeling of purifying your body. 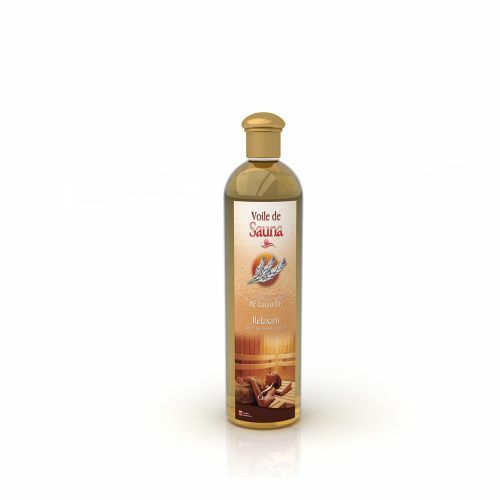 These fragrances are totally soluble in water. Dilute on the basis of 10 to 20 ml per liter of water (1 to 2 stoppers) and pour the solution on to the hot stones on the stove. Enjoy the fragrances as they spread generously in the cabine. Never use pure essential oils in a sauna ! 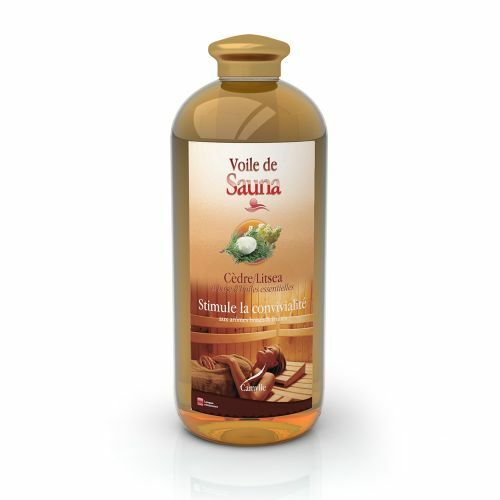 VOILE DE SAUNA is recognized and approved by the most famous Sauna brands. You will also find the range VOILE DE SAUNA at many distributers: KLAFS - TYLO - HELO - SAUNAHOUSE - HARVIA etc… VOILE DE SAUNA is also suitable for use in infrared cabins diluted at the rate of 1 volume to 3 volumes of water in the cup or reservoir planned for that purpose.